Ever since I returned from one of the most amazing trips I have had, life has been manic with busy days at work and never ending social events in my diary. On top of that, I’ve really taken my fitness training on another level and got myself a personal trainer, I’ll talk about that journey separately. I have so much to write about Sri Lanka, I have been meaning to do it for awhile. But then the sun has been teasing us here in England, and you know when the sun is out, London is out, especially me. If you read my last post, I broke down what my trip to Sri lanka really meant to me. Yes it was beautiful, yes it was a girls trip full of adventure and so many laughs, but it made me fall in love with the country and be proud to say I am half Sri Lankan. I had been to Colombo before with my father, a good few years ago. It was a 3 day trip to visit some family which I had never met. But I didn’t see much of the country or even capital, it was a chaotic rush from house to house, and even a last minute wedding. I left Sri Lanka overwhelmed and tired, and I decided, this place isn’t for me. It was only a year ago that I heard my aunties who had visited talk about and seen so many jaw-dropping pictures on instagram that I thought, let me give this place another go. Especially since my grandmother had told us more about our late grandfather, it really was just my mother prying more information out of her. There were so many times where I just stopped and took the air deep into my lungs, trying to savour every moment and every little thing Sri Lanka had. Ella was probably the most scenic, with the perfectly set tea plantation making up every corner of every hill. What can you do in Ella? Ella is any nature lover’s paradise. Being in the highlands, be prepared for cooler weather so comfy pants and a jacket are necessary. There are endless hikes you can take, the more famous routes being Adam’s peak and little Adam’s peak. Little Adam’s peak is perfect for an easier climb as it can be done in less than an hour both ways and you still get the tremendous views. The dramatic drops from the edge of the cliff give you a full view of the magnificent highlands of Sri lanka. Another thing to see are waterfalls. Anyone who knows me, knows I love waterfalls and the calmness around them. We visited Ravana Falls, which is one of the touristy falls in Ella and I must admit, not as pretty and serene as the waterfalls I saw in Slovenia mainly because of the large crowds – so I would recommend visiting early in the morning. Your hotel will be able to arrange a tuktuk drive here, or a day with a tuktuk driver taking you around the main attractions. If you have more time than we did then I would suggest to look for the less accessible waterfalls (these are always the prettiest I have learnt). You can’t visit Ella without walking through the Tea plantations or visiting a tea factory. NOTE: Do not visit the tea factory during a weekend like we did, as they do not operate then… Walking through the the uninterrupted rows of tea takes you to another level of appreciation to the hard work and precision behind a tea bag. It is necessary to savour every gulp and take in all the flavours when you drink tea here, the vapours in the air and Ceylon earth produces something heavenly. You can’t leave Ella without seeing the Nine Arches bridge – the one that hijacks your instagram feed ever so often. Again, you can either go on a long hike to get here, or take a tuktuk mid-way and walk down to it (which we did). It is a tiring climb back up, so try and see this before the afternoon sun is aggravates the sky. Ella, like Kandy, is populated with family run boutique “hotels” with an authentic local touch. I loved it all but it made it hard to decide on the best option. I can recommend the place we stayed in, Ella Hide View, we had a breath-taking view for sun rise and sun set and the breakfast was A-MAZ-ZING. It wasn’t in the town centre, but a 7minute tuktuk ride up a winding road (about 300 rupees) and then a very narrow, steep drive down a hill off the main road. While the tuktuk ride scared me each time, you eventually learn that everyone there is use to driving those roads…… and you can’t escape them. If you are planning your Sri Lankan trip agenda, I cannot stress how much I recommend visiting Ella. We had two days here and it was enough to see what we wanted to, if you have more time and trekking is your thing, then stay a few more days. Because I can tell you that I could never get bored of the views that we had here, waking up to birds singing with the rustling leaves. 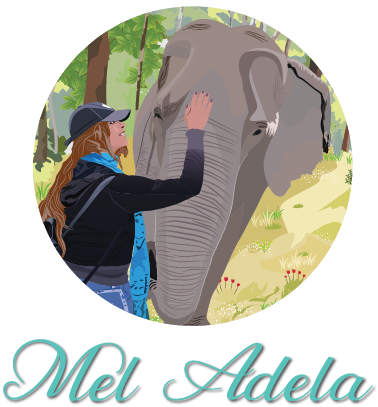 Have you visited Ella? What was your favourite thing to do here?